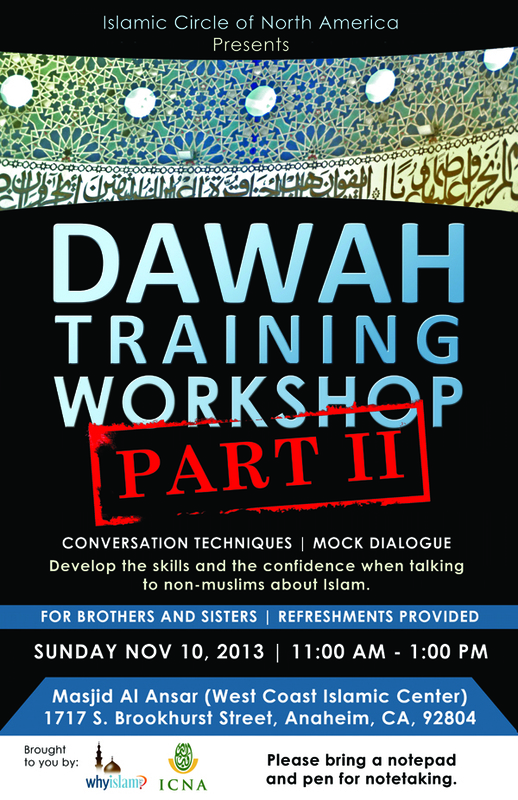 This workshop is geared for any Muslim regardless of age. You'll learn effective conversation techniques from experienced volunteers. It's guaranteed to help improve your confidence when talking to people about Islam.